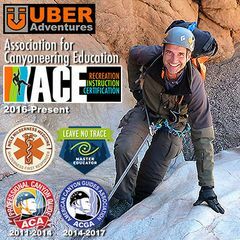 Intended primarily for the recent graduates of any Uber Adventures Technical Canyoneering Course (ACE-L1), and anyone else who wants to join, providing they have RELEVANT canyoneering training or experience! You must have your own PPE (Personal Protection Equipment): Harness, Helmet, Gloves, Safety Tether, Rappel Device, 48" Footloop for self-rescue, a figure 8 for rigging, and enough locking HMS carabiners to hold all of that PLUS at least 1 empty carabiner. You must also bring a pack big enough to carry your PPE, group gear like webbing, ropes, first aid kit, WATER, snacks and sunscreen! And, any member who does not bring the BETA with them might be turned away from this activity! We'll meet at the North end of the Boulder Beach Picnic Area/Water Safety Center near the restrooms (one driveway past the Boulder Beach Campground). 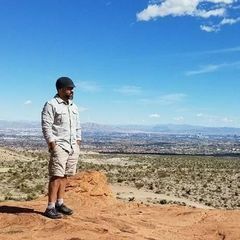 This is located within the boundaries of Lake Mead National Recreation Area so you must either present your pass, carpool with someone who HAS a pass, or pay at the entrance.